Berjaya Times Square is one of KKKL pickup and drop off in Kuala Lumpur. 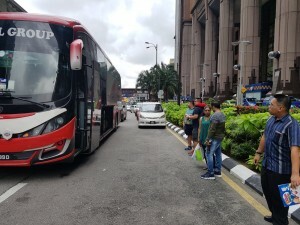 We offer daily coach service from Singapore to Kuala Lumpur and we will stop our bus at Berjaya Times Square. The journey from Singapore to Berjaya Times Square is around 6 hours by normal traffic condition. For return trip from Kuala Lumpur to Singapore, we advise customer to wait at the Starbuck coffee at Berjaya Times Square and look out for our bus before boarding. 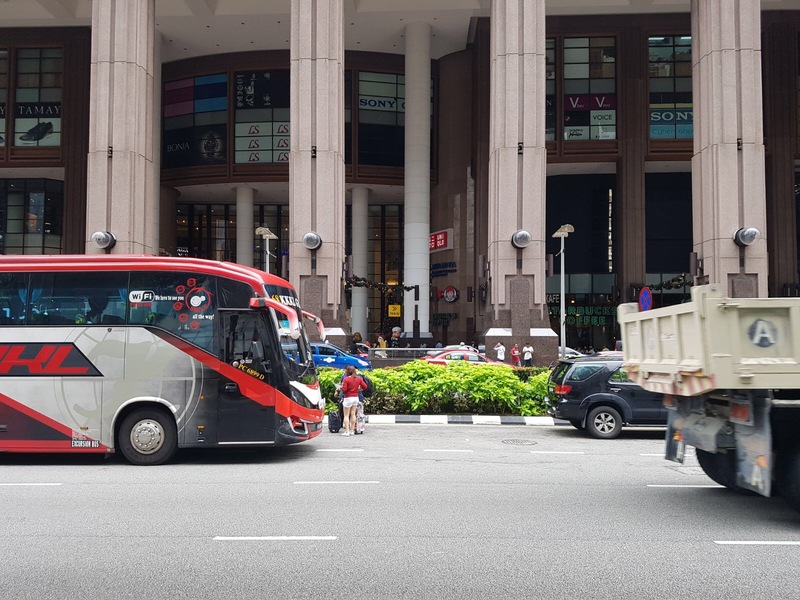 Customer are advised to be the pickup point at least 30 minutes before departure and normally our bus will arrive before departure time and you can start boarding once you see our KKKL bus. Berjaya Times Square is located at the city area of Kuala Lumpur, 10min walking distance to the Bukit Bintang, the most popular place in KL. 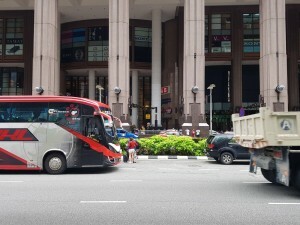 Berjaya Times Square itself is a shopping mall as well as a hotel, hence, this is the most strategic place for our bus to drop off and pickup our customer. Also, a monorail station is just outside Berjaya Times Square drop off and the monorail station is called Imbi station. If you are looking to try Hong Kong food, this is the restaurant not to be missed. Kim Gary restaurant is famous of its cheese baked pork chop rice. The cheese is baked together with the rice and pork, when it is served, you can feel the stickyness of the melted cheese and also the tenderness of the pork. This restaurant serve other food as well such as western food, fried noodle and many more. If you love Korean food, this is another restaurant that is worth considering. There are many reviews on this restaurant on their excellent service, as well as the friendly owner of the restaurant will cook the dishes for their customer personally. This is also a Halal restaurant where they do not serve pork. Some of the recommended dishes include Chicken Dakgalbi, Kim Chi fried rice, beef bulgogi and many more. A very unique restaurant, where they serve food in a big spoon instead of normal plate. 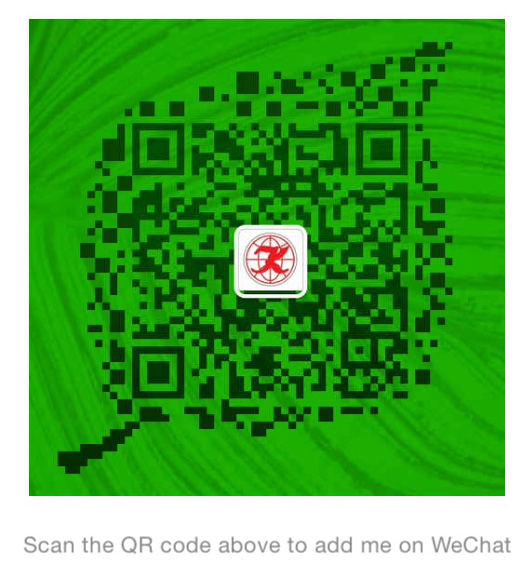 They serve chinese and western cuisine and there are many varieties for you to choose from. You can choose to stand or sit in this restaurant. When you are in this restaurant, please remember to order their fried dumpling which is highly recommended.